These Matrix programs are designed for use by Professional Astrologers, counselors, Experienced amateur astrologers, and astrological entrepreneurs. Each is a program or collection of programs designed to satisfy the needs and the expectations of serious users. 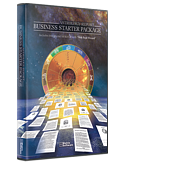 Blue*Star Professional is a 21st Century astrology program that combines traditional astrology chart wheels and calculations with fully-illustrated state-of-the-art interpretive reports – sixteen separate reports in all. Blue*Star Pro is part of the newest generation of innovative Matrix programs with ease-of-use professional tools such as Two Wheel Display, Aspects List Box, Arabic Parts, Time*Scan, Around the Wheel, Midpoints, Designer Wheels, Matrix Ephemeris, and more. Blue*Star Pro includes all 16 reports that can be saved, printed, and emailed as PDF files. The Personal level has only the screen versions of the reports. 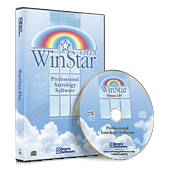 Win*Star 6.0 is simply the most comprehensive Professional level charting and calculation package you can buy. You can decide which level is right for you. Some of the new features include: Swiss Ephemeris, Matrix Search Lite, Matrix Horizons Lite, PDF capabilities, improved 90° Dial, Pop-up interpretations, Two Charts display, Designer Wheels, and much more. 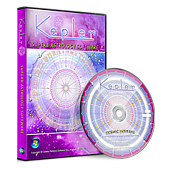 If you are serious about your astrology, Win*Star 6.0 is the software for you. 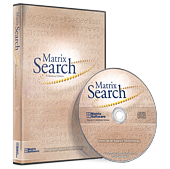 Power searchers, your time has come! Who is it for – serious counseling astrologers, researchers, mundane astrologers, electional astrologers, and anyone with an insatiable curiosity about what the future holds – or perhaps why something occurred in the past. The 21st Century Astromapping Software. That�s the genealogy of the first new Astromapping/Relocation astrology program of the new century. 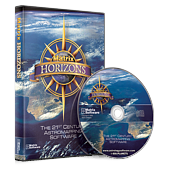 Matrix Horizons will take your relocation work to an entirely new, and better, place. Astrological Calendar and Forecasting Software. This is a unique forecasting program that allows you to produce individualized calendars with or without accompanying interpretive reports. 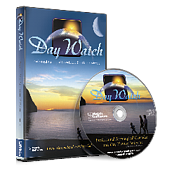 The interactive features of this program, including the ability to add personal events, appointments, and log information about the day, also make it the perfect daily planner. 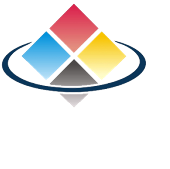 This is an exceptional program that will expand the services and reports you can offer your clients and customers. 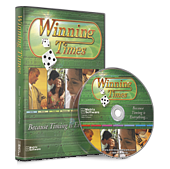 Winning Times gives you what the name says – the exact moments when your personal chart indicates your luck will be at its peak, and your winning potential at maximum power. Built-in tools and recording capabilities make it easy to track your results and fine tune your program for even greater accuracy and performance. 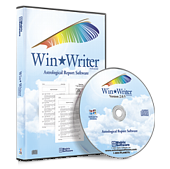 The Win*Writer Professional Report Software Series offers you the finest interpretive report programs. Each program has been designed and prepared in collaboration with some of the leading astrologers/authors practicing today. These programs include all of the tools you need to personalize and efficiently sell reports or use them in your counseling. An individual resale license is included with the purchase of the program and requires no annual renewals or additional fees. 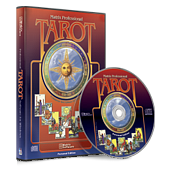 Matrix Software is the first company to offer Tarot software designed for the serious user/reader. Reviewers agree that this is the only software to capture the magic and feel of the real thing. The program includes ten popular decks, 19 pre-designed layouts plus the ability to create your own layouts. Sending readings to clients is as easy as a click of the mouse. 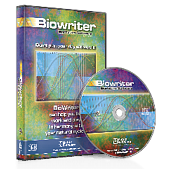 Biowriter creates personalized biorhythm charts for any month you select. It may not be astrology, but your clients and customers will love having a monthly chart/interpretation of their personal biorhythms. Can be added to the Win*Writer Collection. Whether your goal is simply supplementing your current income or taking the leap to full-time Professional Astrologer/counselor, this is an affordable way to begin, and to assure that you have the tools you need to offer your customers the best astrology around. We�ve been providing successful astrologers with their tools-of-the-trade for more than 32 Years; here�s what we recommend. 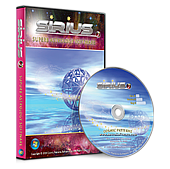 Sirius is the most comprehensive and most powerful of the three main Cosmic Patterns programs. Sirius includes everything that is in Kepler, plus many additional features. You can think of Sirius as a "Super Kepler" or "Kepler Plus" or "Kepler Platinum" program. Sirius has a very similar look and feel as Kepler and the user experience is similar. Even though Sirius is a bigger program than Kepler, you do not become overwhelmed by the features because we have made access to the features simple and uncluttered. Kepler can be used by people with any level of experience, from novice to professional. Novices can stick to the basics, experts use the advanced features. Complete atlas included. Bindu astrology software is a new professional Jyotish software provides a large variety of tools and technics of Jyotish, western and medieval astrology in a highly user-friendly environment. Employing highest standards of software developments, Bindu enables the users to benefit their maximum knowledge and even more. Company policy places limits on the age of our software than we can support. For technical reasons we can no longer support software older than 2005 on windows XP or older than 2008 on Vista and later. We do not support versions of windows prior to XP nor DOS. If you have any technical issues with older software you will be asked to update or upgrade to the appropriate version of our software for the version of windows installed on your machine.